Ooooh, I was sassy yesterday! I like it. Okay, on to beauty products. And my face! Which keeps sloughing! A few weeks ago I mentioned these Philosophy products: The Present, which is a primer that goes on before your foundation and Hope and a Prayer, which is a serum sort of thing that you mix with your moisturizer at night. Now, The Present goes on smoothly providing sort of a weightless waxy base, smoothing over all the lines in your face. It was AMAZING for the first two weeks. My makeup looked flawless. Then I started breaking out. BUT. I go to the gym with makeup on (I know, right?) and I think sweating with the whole pores are filled with wax thing doesn't go over too well. For dry skin, I've read that Sue Devitt Microquatic Blue Anti-Aging Primer is supposed to be the most moisturizing, so the next time I'm at Sephora I'm picking that up. Has anyone tried it by chance? The Present Primer Bottom Line: The Present is great for fine lines and excellent for enlarged pores. It doesn't do much to disguise deep wrinkles though. Do not wear it if you're going to be sweating. Be sure to use a good moisturizer underneath. Hope and a Prayer comes in a jar full of individual capsules. You squeeze one capsule into your moisturizer every night. The delivery system is very slick and greasy feeling going on, but I like this because I know the retinol in it is very drying. I've read you should lie down for 15 minutes after applying it so that it can sink in, so that's what I do (actually, I stay there for an hour watching Tivo, but who's counting?). This also became a little drying after two weeks with some flaking. But, the results! Oh my God, it works. My laugh lines are fainter than my frown lines to begin with (unexpected personality assessment - awesome!). I first noticed the faint laugh lines around my mouth disappearing within four days! The deeper frown lines in my forehead are just now starting to seem less noticeable after three weeks of continuous use. Hope and a Prayer Bottom Line: This really works to erase fine lines and even skin tones. Not so much on pore minimizing. I recommend that you keep up on your water intake, a good daily moisturizer, and a weekly moisture mask to combat the drying effect though. I recently started using a Powder Bronzer and I love it! My face instantly looked thinner and I had cheekbones for the first time. But. I picked it up at the drugstore and I am embarrassed to even tell you the brand. It rhymes with "Nevlon". Now that I'm willing to invest in a Bronzer, any suggestions? Also, Blushes: Do you know of a good powder blush that isn't drying? 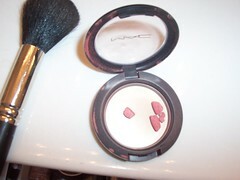 Or a good cream blush that won't cause breakouts? I've been stabbing at tiny rocks for the last two months. And I don't even like the color. See? This new cheek stain - Becca Beach Tint - is supposed to be so hot that Sephora can't keep it in stock. Why does that make me completely convinced that it's the PERFECT COLOR FOR ME? Tarte Cheek Stain - I know one of you has tried this. Is it natural looking? Dior Bronze Sun Glowing Moisturizer - I like this because you can pick your skin tone and it's supposed to go on light, natural, and sheer. We shall see. I'll give these a try and report back. With pictures! Of my pores! Wheeee! Also? 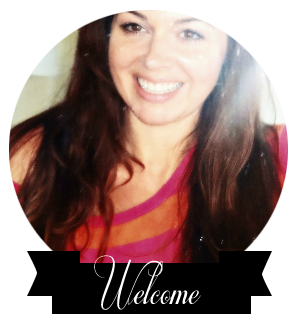 I will share with you the Very Special Secret to creating cheekbones and the illusion of having lost ten pounds. Seriously.